Omega combines their unparalleled precision in watchmaking with a classic watch piece that features a large white dial with luminescent hands and indices and a date aperture at the 6 o'clock position. 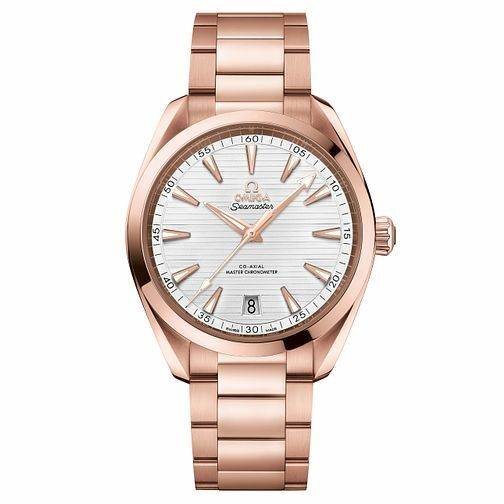 Made with 18ct of rose gold for the entirety of the watch, Omega introduces a luxury metal into a traditionally performance-focused piece that shows that there is no need to sacrifice style in order to get the very best.This particular watch has been certified as a Master Chronometer, giving it high levels of magnetic resistance even in adverse conditions. Swiss-made for decades of expertise in watchmaking.